Last week, I spent a few days with my mom at her home in North Carolina. Although I didn’t grow up there, it seemed that every time I opened a closet or cabinet, some object behind the door reminded me of my childhood. 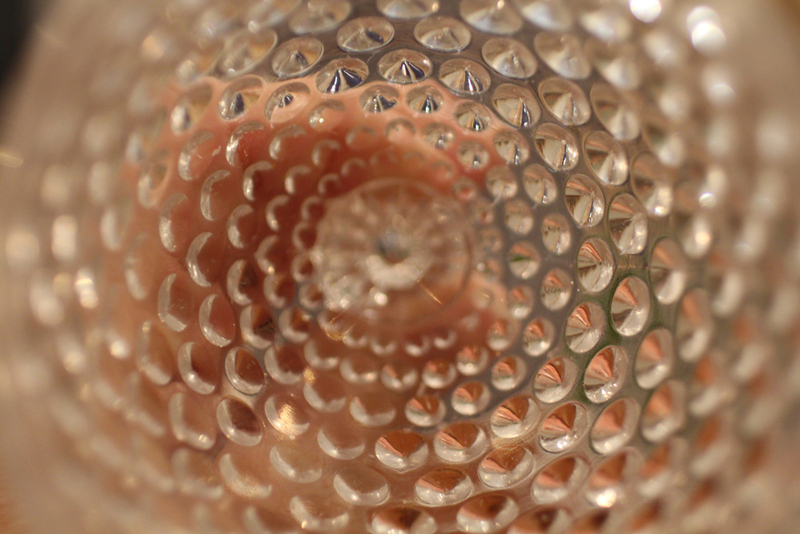 These great hobnail goblets — my grandmother’s originally — were such objects. I have loved these goblets for as long as I can remember, sparkly and fancy, filled with memories of my mom’s unsweetened iced tea with two lemons. In fact, if you were to say the word “goblet” to me (does anyone even say goblet anymore? ), these glasses are what would spring to mind. When I became old enough to use such fancy glassware — twelve, maybe — I drank my milk out them each night at dinner. And even when I came home for breaks during college, they were the first glasses I reached for when I wanted to throw back an iced Coke with a bag of chips while watching a 90210 marathon (ah, youth). Lucky for me, my mom decided that she’d had enough years enjoying the glasses and sent them home with me this time. Now I’m hoping my boys love them as much as I do. So, dear readers, is there tableware from your childhood that conjures up memories for you? And have you gotten to hold on to some pieces for your generation or the next? All images by Paige Lewin. For similar hobnail lovelies, visit Etsy or ebay. Aawww, I loved this. I loved thinking of your mom and her iced tea! I love that you have them now and you can now serve HER some iced tea in them! And some day, your boys will serve YOU in them. I just love the continuity! I have my great grandmother’s oval dinner platter that we use for turkey dinners (and other large holiday dinners). My great grandmother died before I was born, but every time I use her platter, I think of Maggie Shea with affection. 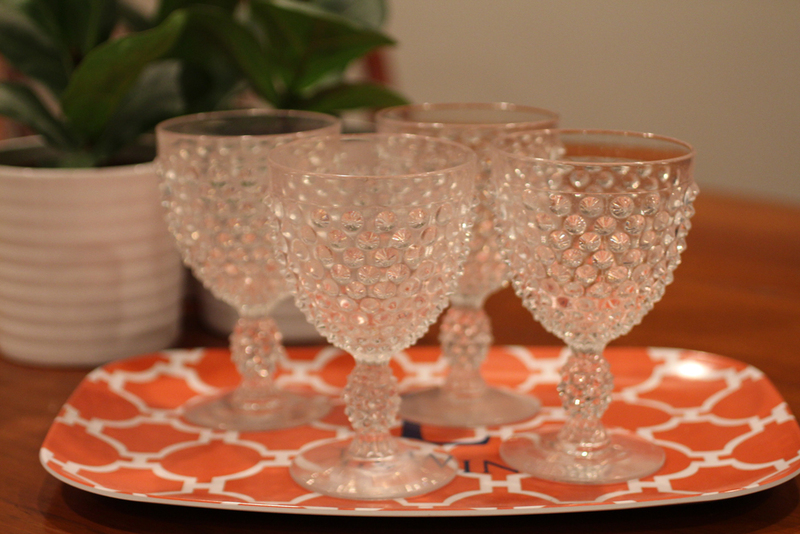 As the aforementioned mom, I LOVE this little tribute to my hobnail glasses(and my mother-in-law’s before mine!) And Marlissa, I SO agree! There is something SO cool about the continuity of it all! !